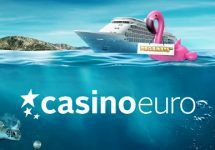 Casino Euro – Daily Deals | Week 25! Visit Casino Euro to enjoy daily casino treats and bonuses! The 2018 FIFA World Cup in Russia kicked-off last Friday with up to three football matches being played every day of the group stage. Casino Euro has also a daily event for all players, where they can enjoy a Daily Deal in form of bonuses, tournament rewards, random prize drops, Live Casino rewards and Free Spins. Dive into a new gaming week with a generous 50% match bonus for your first deposit on Monday. 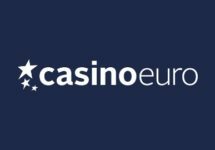 Monday, 18th June 2018: Reload Bonus – Deposit minimum €10 to receive a 50% deposit bonus, up to €15. Wagering requirement is 40x bonus within five days. Tuesday, 19th June 2018: Instant Free Spins – Wager minimum €30 on Laser Fruit to instantly receive 10 Cash Spins on the same game. Winnings from the wager-free spins are cash. 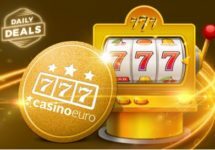 Wednesday, 20th June 2018: Lucky Spin – Enjoy 1 Free Spin on Wolf Cub™, no deposit needed. The TOP3 scoring the highest wins from the spin will be rewarded with cash prizes: 1st – €1,000 | 2nd – €250 | 3rd – €100, credited with no wagering requirement by 15:00 CET on Thursday. Thursday, 21st June 2018: Prize Drop – Spin actively on – TBA – and you could randomly trigger a prize drop. 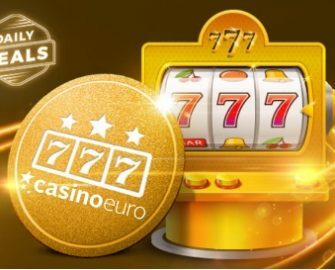 Available prizes are 1x iPhone X and 50x €20 bonus, credited by 17:00 CET the following day with a 20x wagering requirement within five days. A cash alternative of €800 is available for the iPhone. An in-game tab displays remaining time and prizes. Friday, 22nd June 2018: Free Spins – Deposit minimum €15 in a single amount to instantly receive 30 Free Spins on Book of Dead. WR is 15x FS winnings within five days. Saturday, 23rd June 2018: Goodie Bag – Deposit €30 in a single amount to instantly receive 20 | 20 Free Spins on Jungle Spirit: Call of the Wild™ | Wild Wild West: The Great Train Heist™. WR is 15x FS winnings within 5 days. 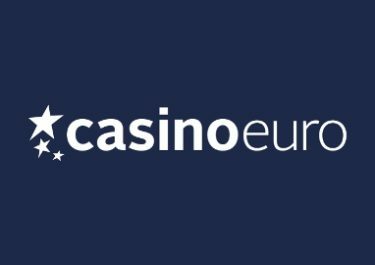 Sunday, 24th June 2018: Live Casino Bonus – Wager minimum €50 on Dream Catcher or Lightning Roulette to instantly receive a €10 bonus. Wagering requirement is 10x bonus amount on any casino game within five days.